Make your organization a hub for job seekers and volunteers with your own job board. No installation or technical setup. Launch your branded job board in seconds! Provide members-only access or open up your job board to the public. 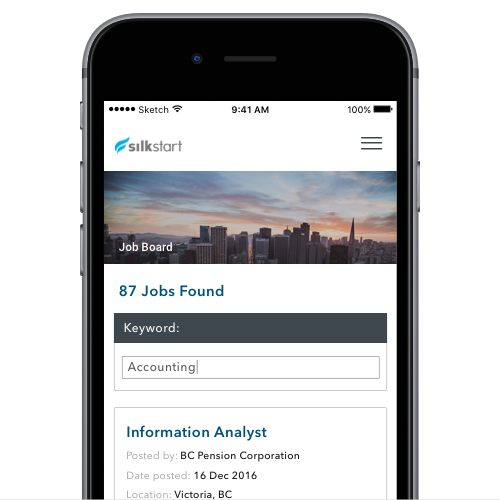 SilkStart’s job board is fully integrated with your website so you can manage your members and their job posts from one place. Generate additional traffic to your site and increase non-dues revenue through free or paid job postings. Collect payments for paid postings with any of our supported online payment gateways. No credit card? No problem! Invoice your job posters and collect payment at a later date. Job seekers find exactly what they're looking for, from any device. As the administrator of your job board, every posting goes through you before it's made public. Create custom criteria relevant to your industry, and let users filter jobs based on those criteria. 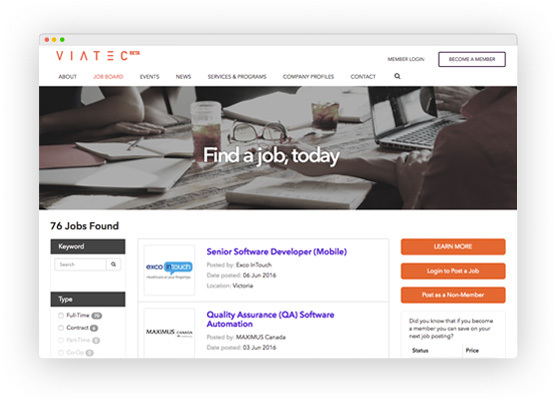 Become the go-to source for industry professionals looking for jobs, and companies looking to hire.